Vinification is traditional, fermenting in large wooden vats, before racking to Garbellotto and Veneto slavonian oak botte of up to 52hl for traditionally long affinamento/elevage. Bottling takes place without fining or filtering. They also release a long aged Riserva in good years. Another warm season, 2009 started well with a deep, long, snowy winter that gave way to a wet spring, and then a hot summer. 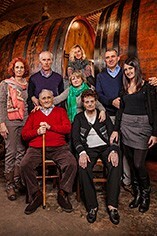 The Borgogno family blended their west and east vineyards together for this Riserva, which was bottled in November 2014 after five years in large Veneto botti. Consistent with the vintage, their 2009 Cannubi Riserva is a sumptuous, strawberrypatch wine, pure and silky. Drinking now but will benefit from time in bottle. 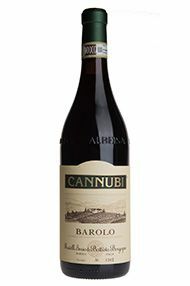 Lying in the heart of one of Barolo’s most famous vineyards, Cannubi, this small, traditional, fifth-generation family-owned cantina dates back to 1897. Brothers Serio and Battista Borgogno set about developing the cantina during the 1960s and 1970s, when the emphasis was largely on quantity not quality, buying in fruit or wine to fill their outsized winery. Today the baton has been passed to Serio’s daughters Anna and Paola and in turn their offspring Emanuela and Federica respectively. Anna’s husband Marco is making the wine, aided by Emanuela and since 2012 by oenologist Luca Sarotto. These days the focus is increasingly on their Cannubi plots, facing south, north, east and west, while they continue to buy some fruit in for a separate white-label range. Vinification is traditional, fermenting in large wooden vats, before racking to Slavonian oak botti of up to 52 hectolitres for traditionally long élévage. Bottling takes place without fining or filtering. This is an especially fine and pretty kirsch red fruited example of the the Cannubi vineyard in the village of Barolo, as made by the Borgogno family at the vineyard's heart, from the sunny, earlier drinking 2011 vintage: a blend of three different parcels of Cannubi, 'Cane' (named after the previous owenr), 'Nuova' and 'Battista' (the most favoured, south facing), vinified by owner Marco, his daughter Emanuela and their new enologo Luca, this particular bottling comes from one single 50hl slavonian botte (barrel) # 19, selected by me. Pale strawberry red in colour, the nose sings with delicate strawberry and tea leaf notes, refined and persistent; to taste meanwhile, it's generously fleshy, with sumptuous summer fruit, fresh and lively. Indeed it possesses an almost glass slipper quality, with porcelain cassis fruit and immense charm. Bottled mid December 2014, having been fermented in large oak before being racked to botte #19, the three years' wood ageing has meant that no stabilising, clarifying or filtering has been required, so retaining the wine's intrinsic, stripping nothing away.